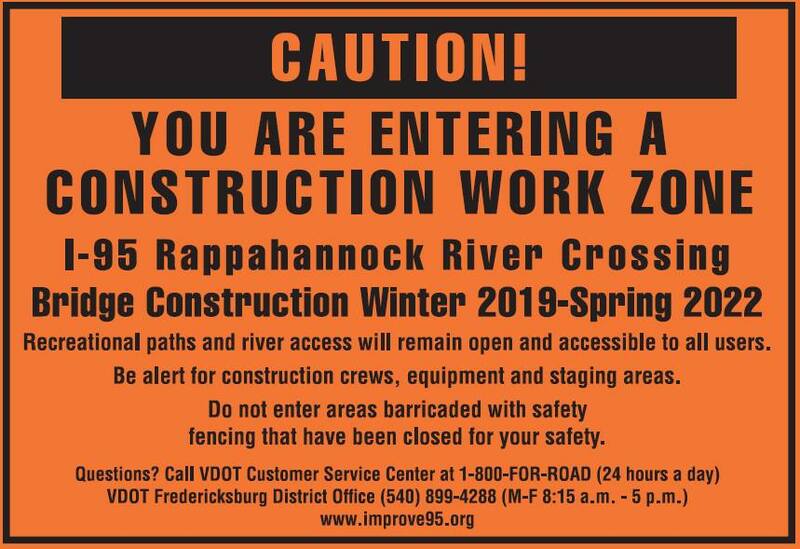 We wanted to give a heads up that trail users will begin to see activity around the new bridge site and these signs were installed this morning. In talking to VDOT, they believe that trail users should not see a tremendous impact. They are an advocate of wanting the use of the trails to continue being a popular resource for walking, running, and biking, and believe that everyone can coexist safely. Be mindful, be safe, and please report any issues/concerns to the number on the sign or let FredTrails know and we can report on behalf of trail users.